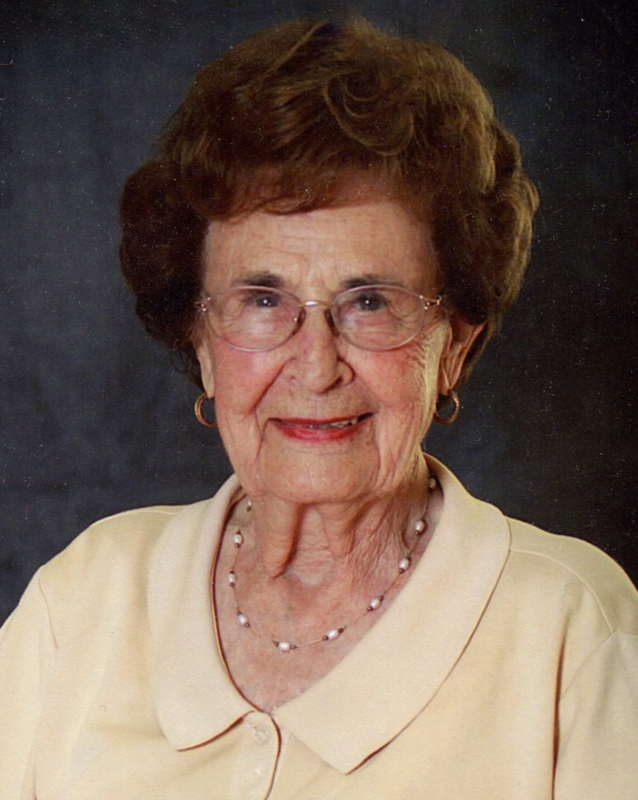 Frances Quist Ball, 99, passed away peacefully in her home on Monday, January 18, 2016. Frances was born to Frank T. and Louise Ek Quist in Salt Lake City, Utah, on April 19, 1916. She married her sweetheart F. Morley Ball in the Salt Lake Temple in 1934. Together they raised their son, Samuel, who was the light of their lives. Frances led an active, healthy, and happy life. She worked as a Secretary for the Union Pacific Railroad, retiring after 33 years. Always a hard worker, when they moved to Arizona, she left retirement to work as a Secretary at Arizona State University for an additional 10-plus years. Frances was known as “Gorgeous” by her grandchildren and many others and the name fit her well. She was optimistic, witty, gracious, and beautiful. She will be missed by her three grandchildren, Jennifer Strent (Robert), Mary Jane McGrath (Kresten), Andrew Ball (Heidi) and her 10 great-grandchildren, her daughter-in-law Betsy Ball, former daughter-in-law Jane Porter, as well as her nieces, nephews, and many friends. She is preceded in death by her husband, son, parents, and siblings. There will be a visitation in Mesa on Thursday, January 21 from 6-8 pm at Bunker’s Garden Chapel, 33 N. Centennial Way. There will be an additional Visitation in Salt Lake City on Saturday, January 23, at 1:00 pm at Wasatch Lawn Memorial Park, 3401 S. Highland Drive. Memorial and internment will immediately follow.